Welcome to the website of Alison Lock, one of the leading independent Holistic Therapists, Counsellors / Psychotherapist and Supervisor in the South Oxfordshire area. With therapies ranging from ancient healing techniques such as Reflexology, Meditation and Reiki, through to modern thinking in Counselling using tools such as visualisation, Mindfulness Meditation, TFT, Bach Remedies and CBT. This means I can offer a comprehensive treatment tailor made for your needs. I am currently based in Wallingford, Oxfordshire. I offer a full range of services, with over 26 years experience. 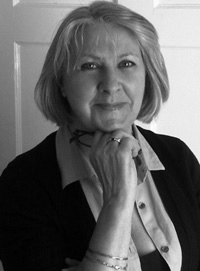 I have over 26 years experience as a holistic therapist and counsellor / psychotherapist. I believe when working I affect the mind, body and Spirit. When we look at the person as an energy system it makes perfect sense. Based on the principle that congestion or tension in the body is mirrored in the related parts of the foot. Reflexologists treat the whole person and not just the symptoms of illness. What is TFT/EFT? Discovered by Dr Roger Callahan, a Californian Psychologist. TFT is a unique form of psychotherapy backed by over twenty-five years of research and development. . The Bach flower remedies are a gentle system of healing discovered in1930’s by Dr Edward Bach (a physician, bacteriologist, and homeopath), they are produced using mother tinctures made from plants.. I trained at the College of healing in Malvern (1993) with Tony Neat one of the founders of the Bristol Cancer Clinic. I worked with Ruth White, (1998) author of many books on the esoteric. To enquire about booking an appointment or to find our more about the services offered please contact me via the web form on the right and I will get back to you.